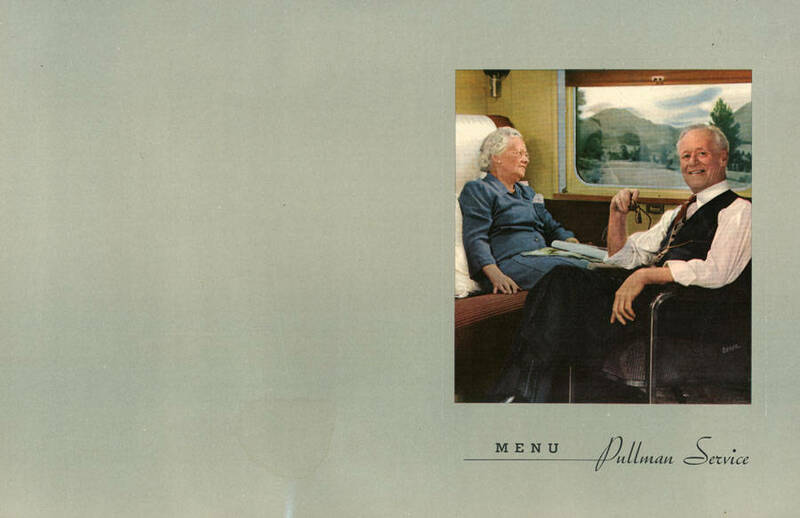 Menu cover for Pullman Service in dining car. Shows elderly couple sitting comfortably in compartment, with mountain view out of window. Description Menu cover for Pullman Service in dining car. Shows elderly couple sitting comfortably in compartment, with mountain view out of window.